I started to tie a few gaucho interweave knots around the grooves of my orange tactical pen this morning, using some black 0.9mm string, but the first one was giving me some grief with my eyes not wanting to focus on the work. So, I untied the one I'd finished and may try again later when my peepers are being more cooperative. 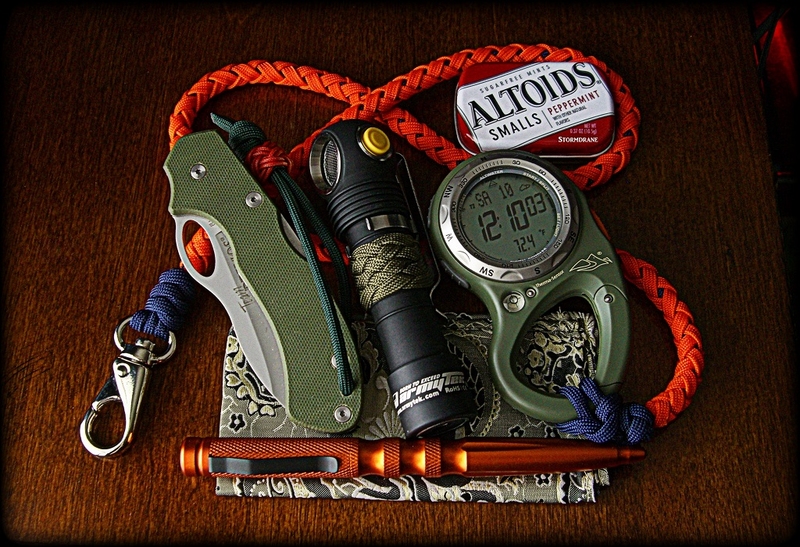 If you don't mind my asking - what is the carabiner watch in the photo? That's a Highgear Altitech carabiner watch. I've had it since around 2005, I think. Thanks for the info! Your blog is great and I enjoy each new post - keep up the good work!